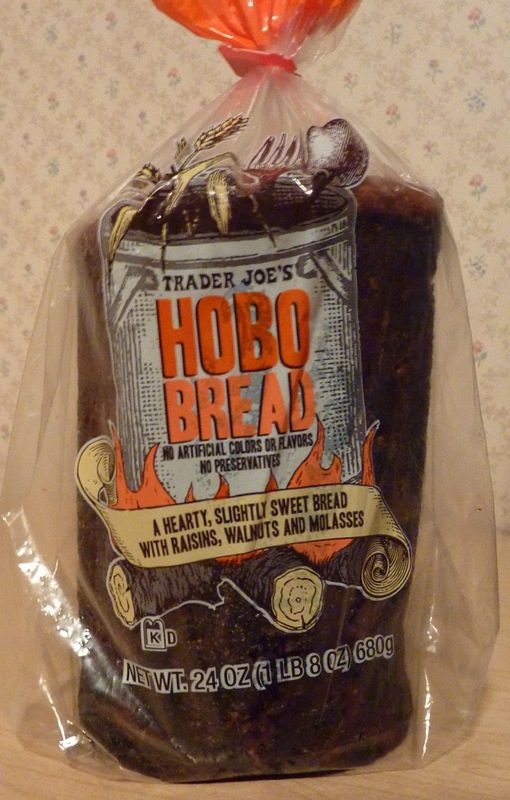 This product is called "Hobo Bread" because hobos used to make it during The Great Depression. They'd cook it in old tin cans, hence the cylindrical, tube-like formation. I imagine them baking the bread over large barrel fires under bridges and overpasses, feeding scraps to stray dogs...although dogs aren't supposed to eat raisins...and I'm not sure if the average hobo knows that. I mean, I don't want to sound arrogant. Hobos probably know as much as I do. Although, most of what I "know" comes from Wikipedia and Google searches. So really it probably boils down to whether the hobos have internet access or not. I guess most do if they use the library. But I mean, this is just silly, since nobody had internet access during The Great Depression. I bet it cost like a week's wage for internet service back then. Right? Anyway, hobos no longer have to bake this bread themselves. They can buy it at TJ's for about $3. Not a bad deal since it's quite filling, plus there are 12 servings in the bag. 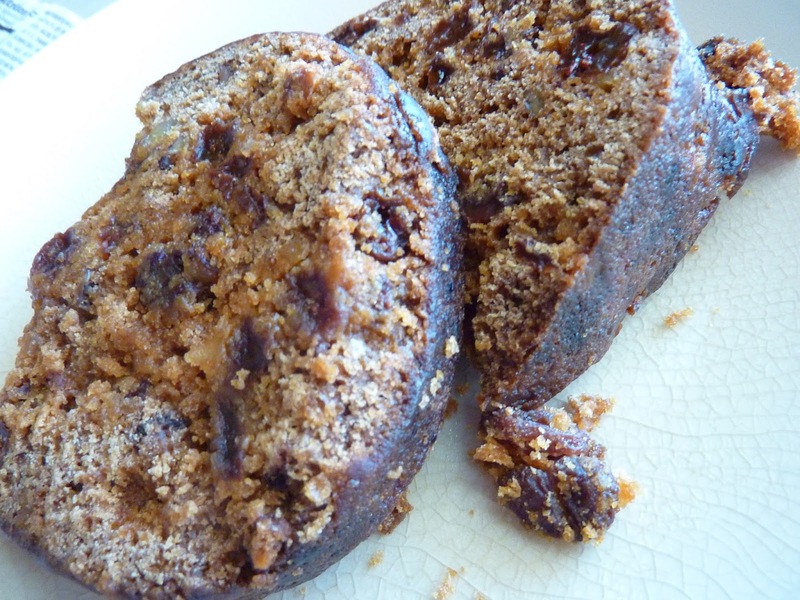 It's a simple treat—moist bread filled with raisins, walnuts, brown sugar, and molasses. I've never been a huge fan of molasses, but in this case, it's not overwhelming. Noticeable, definitely...but bearable even for me. The bread's not super sweet, but it's richer, denser, and "wetter" than traditional raisin bread. It crumbles apart very easily, and similar to the Irish soda bread, it would be difficult to heat it up in a toaster without losing a few chunks to the infernal abyss. Conventional oven or toaster oven? Go for it. But I preferred mine at room temperature, sans fixins. So did Sonia, who thinks the bread might have lost a bit of its signature softness and moistness had we eaten it heated. She's a much bigger admirer of molasses than I, and accordingly, she gives this Hobo Bread four stars. I'll throw out three. Sugar loaf indeed :) Yer welcome. Boston brown bread served with franks and beans was one of my favorite dinners when I was a little kid many moons ago. This is the kind of bread I'd use for French Toast. Nice! moist ,dense, sweet bread. 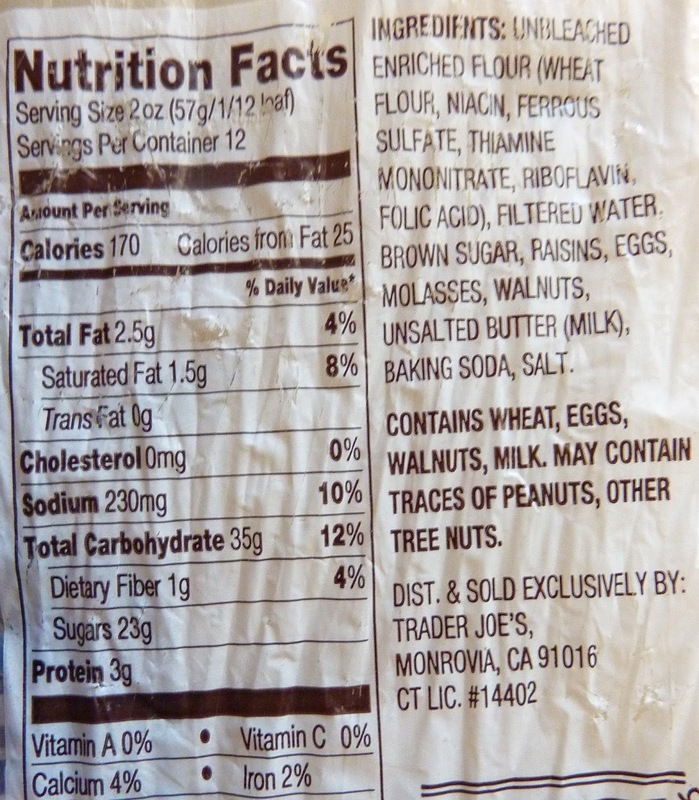 If you've never had it try TJs its very good. Toast it and smear on some soft butter!! Yum! I was so excited to try it. I threw the loaf out.. YUCK! I love it. They do not carry it in the Scottsdale AZ area. I asked if they could order me a few loaves and they said "sorry no". Me sister lives in Massachusetts and I get it there. I bring it back in my luggage. Good stuff, Hobo Bread, neat that TJ is carrying. Try it with vanilla (or maybe other flavor) ice cream. I use TJ's French vanilla. Crumble the bread into a bowl with the ice cream. Makes a nice "topping" (or bottoming)! They discontinued it and I am not happy! !